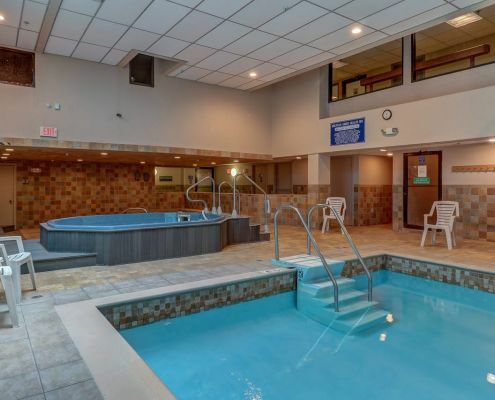 This bright and spacious duplex condo is located in the main building of the Mountain Green Ski & Golf resort, so you can enjoy the luxury of the health club, restaurant and Ski Shop without ever leaving the building. Ski lifts are just a short walk or free shuttle ride away. The family room is airy with a large corner lounge suite, 42” cable TV, DVD, and a stereo system. The open plan Kitchen/Dining Area is spacious and comes well equipped with stove, refrigerator, microwave and a dishwasher. The dining table seats ten and there is also a breakfast bar with stools. Living room has a wood-burning fireplace with complimentary firewood – perfect for relaxing with a glass of something chilled after a hard day at the slopes. 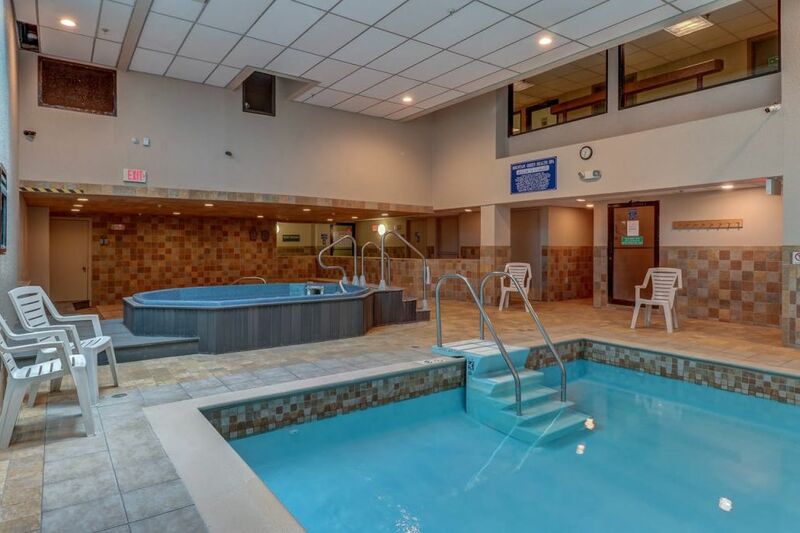 Pamper yourself at the Health Spa w/ 54-foot heated lap pool, eucalyptus steam room, sauna, two Jacuzzi, gym. Relaxing massage is offered by professional staff.